Do iPods multiply automatically? Is there a procreation algorithm in their firmware? We first brought one into our home three years ago. Now we have at least five, though there may be even more hidden among the tangle of ear buds, chargers and accessories in my "mystery drawer." Along with the proliferation of iPods, I'm also finding $1.98, $2.97, and $6.93 droppings on my monthly MasterCard statement, labeled "APL*ITUNES." My playlist may be unique (Talking Heads, Johnny Cash, U2, Billie Holiday...), but I suspect many others are plagued with the same symptoms - a growing population of devices and a steady stream of payments for music to fill them. Somehow, whenever a tune pops into our head, we just go ahead and buy it. In my mind, that's the true genius of Apple's invention. Besides all the wonderful features of the iPod & iTunes, they have made music easy to buy. I know there are other ways to acquire music online, legally and otherwise, but I am delighted to pay 99 cents for a song on the spur of the moment. And millions are apparently doing the same thing; that's a lot of moments and a lot of 99 cents. So what does any of this have to do with SaaS? Think of iTunes as a service that happens to require a specialized client, the iPod. Apple has carefully thought through and designed the entire customer experience. It's not just the product itself that's easy; the entire experience is easy. Think about it this way. Would you so willing to spend 99 cents on a song if it took you 15 minutes to buy it? I wouldn't. 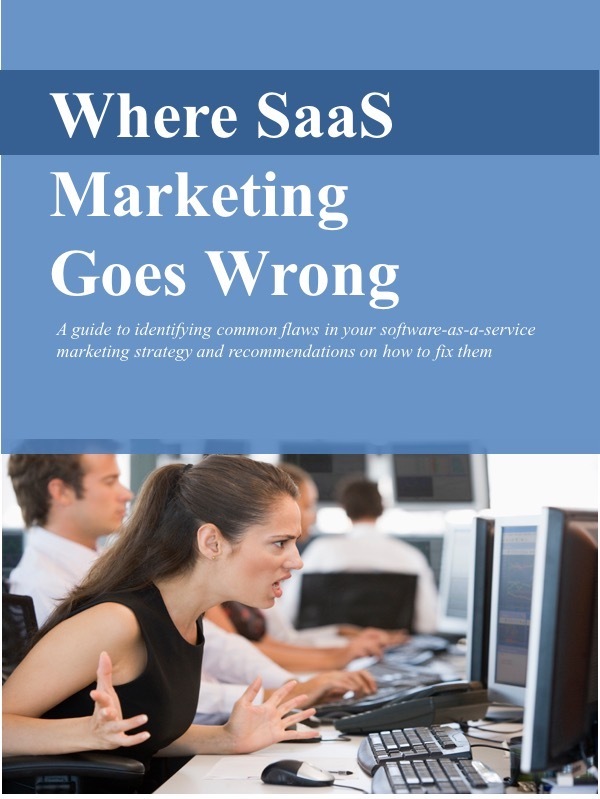 For those of us who are marketing SaaS solutions, there's a lesson in here. We too should think about the value of the entire customer experience. Don't confine our thinking to just the product features, narrowly defined. Make the service easy to buy and market that benefit. "Two clicks and you can add a new user; one click and you can access new functionality." In fact, you can look beyond "easy to buy." Perhaps your SaaS solution is "easy to deploy," "easy to configure" or "easy to leave." Apple even makes it "easy to get your rebate." (Sorry if I'm sounding like one of those Mac devotee boors.) Tout all of these benefits in your marketing messages. Like our experience with iPods & iTunes, customers are attracted to the entire experience. Market it to them.